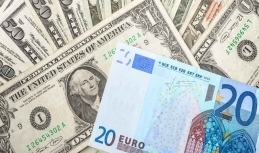 The euro to US dollar exchange rate has touched a 3-month bottom on Thursday and even slightly regained positions afterwards. The rate was recorded at $1.1290. At the same time, the US dollar is getting support from increasing yield of 10Y state bonds and steady inflation reports in the USA. The second half of the week is full of economic reports. The USA will release retail sales results for December today. 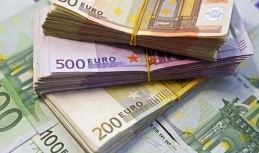 The figures can either improve slightly though may remain weak m-o-m.
A new set of negative reports has hit the euro area by the middle of the week. According to the available data, the regional industrial production dipped by 0.9%, while expectations were voiced at 0.4%. Notably, this downturn has been the major since the global financial crisis. After the 3-month bottom recorded yesterday, the euro still can be depressed by the European economic reports, Brexit and new fears of the global economy state. In the near term, the euro-to-US dollar rate will keep facing negative risks. 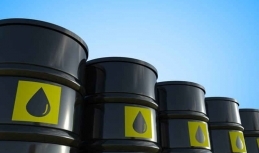 Following the Friday trading session, the Brent oil prices managed to slightly regain positions. However, the overall figures showed that the last week brought some 1% decline. The quotes saw some support at the $61/bbl handle and improved to $62/bbl. Despite the increase, the oil market has remained shaky and started this week with a price decline. 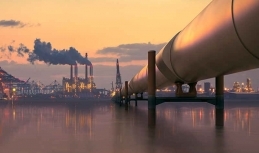 The current price stays near $61.80/bbl. In the short run, the Brent prices will remain based on the stock markets and macroeconomics. The main event for this week – US-China trade talks. The price still can fall below the $60 handle. The price for oil showed another attempt to rise on Thursday but entailed new profit taking in the market. As a result, the quotes fell down to the $60/bbl handle. However, the prices for Brent oil have managed to restore positions by Friday, hitting the $61/bbl handle. Despite the increase, daily decline remained heavy. Oil quotes that have already shown instability face pressure from the macroeconomic signals. The market environment generally remained the same with prevailing uncertainties and fears. As a result, traders stay on pins and needles taking measures to prevent the price rise. 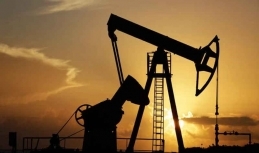 In the near term, it is still possible that oil prices may fall down below $61/bbl again. 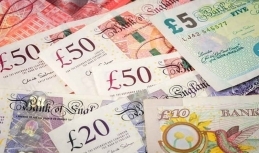 After the regular meeting held on Thursday, the Bank of England, in particular, its Monetary Policy Committee, has reportedly decided to leave the interest rate at 0.75%, which in fact agrees with the market players' forecast. 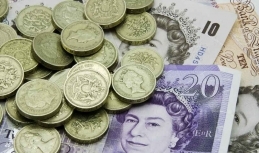 The BOE's decision has fueled the decline of the sterling against the US dollar. For now, the UK can record the slowest economic growth over the past 10 years in 2019. 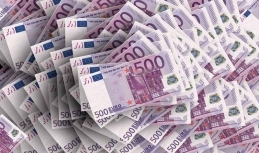 The euro rate keeps on steadily declining since the beginning of this week. 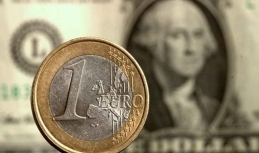 The euro to US dollar rate is hovering around a two-week bottom of 1.1355 and may even touch the 1.13 handle. The rate downturn accelerated on Thursday driven by a new European Commission outlook. The European Commission downgraded its GDP growth forecast for the Eurozone from 1.9% to 1.3%. Notably, the regulator revised its forecasts for almost all countries in the region with Germany and France affected the most. The euro downtrend is hardly a surprise for the market, especially amid the strong US dollar rate. 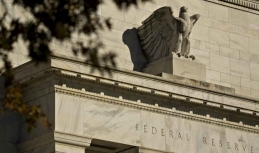 US Federal Reserve soft position – right or wrong move? Last week was marked by a softer position of the US Federal Reserve towards the monetary policy, which actually supported the stock markets. The US Central Bank changed its strategy dramatically this January against the December meeting. For now, the US Federal Reserve officials stick to somewhat softer policy. In fact, the Central Bank is no longer states about the possible two-fold increase this year. Still, the changes can be made at any time. At the same time, the US Federal Reserve will have no other choice but to resume monetary tightening if the economic situation in the country remains strong. The euro has posted some weakening at the start of the week. 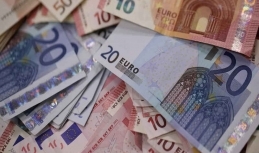 According to the daily statistics, the euro-to-US dollar exchange rate stands below $1.1450 at some $1.1433, with no short term upward sentiments to be seen. In the current situation, the euro is on the spot, as it refrains from accepting already notable slackening in the region and still expects ECB's upward rate revision. As a result, the currency can eventually face so-called accumulated impact, which may entail much bigger damage. The upward attempts of the euro-to-US dollar rate are limited at the 1.15 handle, while the break of 1.14 is getting more real. Brent oil prices were on the rise last week posting the strengthening for the fourth week but still failed to break the $63/bbl handle. This level has been scaring off buyers since the beginning of the year. In short run, the market players are likely to keep studying the potential impact of US sanctions on the supply-demand balance, the sentiment of global investors in the stock markets as well as the future dynamics of US oil and petroleum prices. In particular, the $63 handle will be in the spotlight, as its break can lead to further resistance near the $64 handle. The Japanese yen is actively getting stronger vs the US dollar. 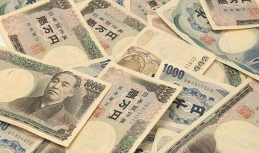 By now the US dollar to yen exchange rate stands at 108.70. The Japanese economic reports are now not in the spotlight now, though some figures should be mentioned. If the industrial sector is ready to recover, this means there are signs of positive improvements of the domestic demand.